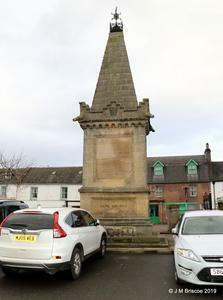 Pedestal with castellation and pinnacle at the top. On west face is a bronze relief of two men in Lovat scouts dress, one standing and one seated on the ground by a horse. 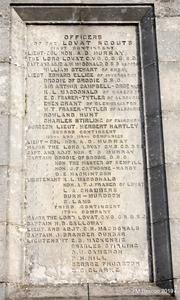 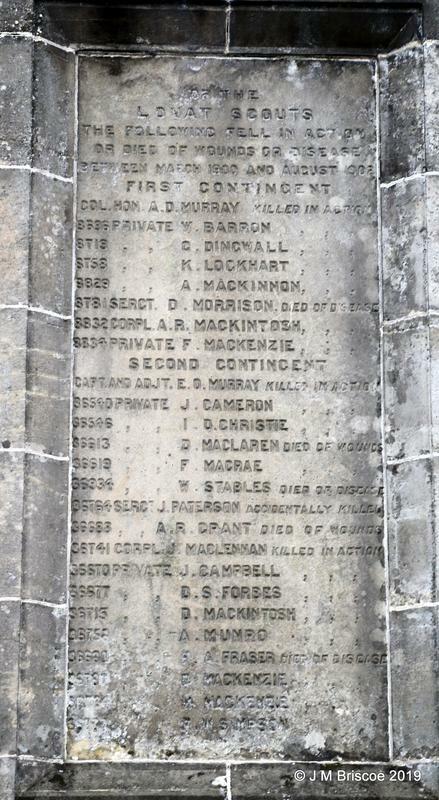 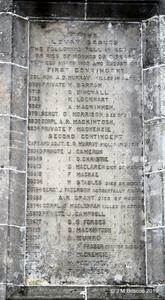 On the remaining faces names are listed with theatres of action inscribed below- 1 panel for the fallen & 1 for the served. 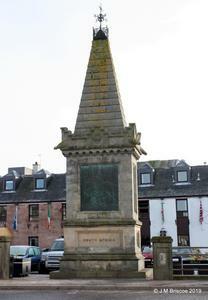 The whole is set on a stepped base. 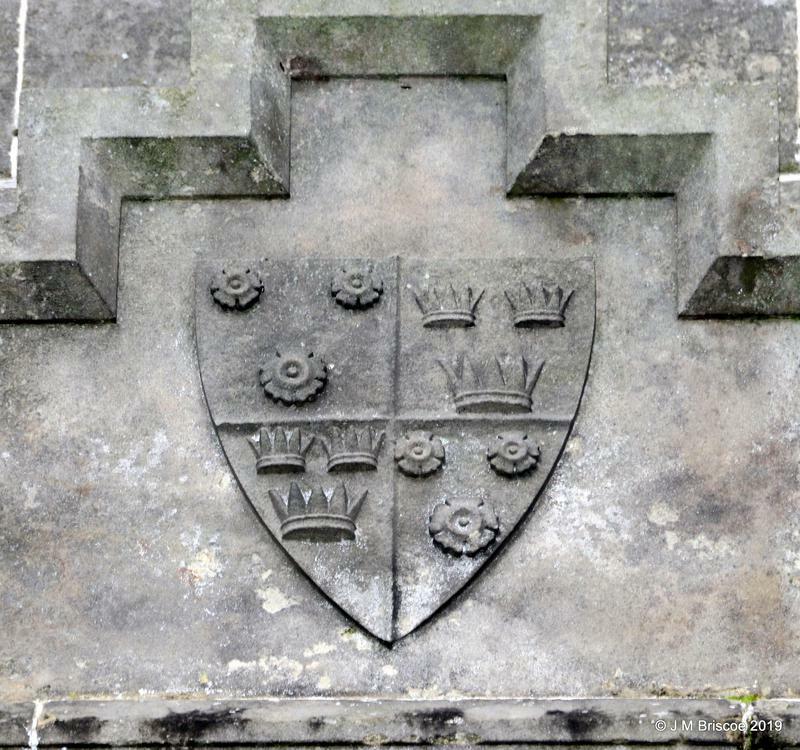 A small carved cannon protrudes from each corner of the castellation. 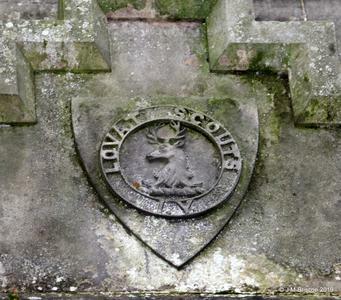 The badge of the Lovat Scouts is carved in relief above the bronze relief panel. 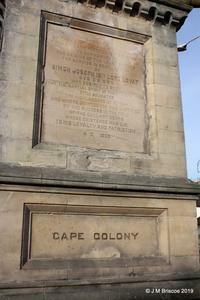 2005: Some of the stone has chipped off the base of the pedestal. 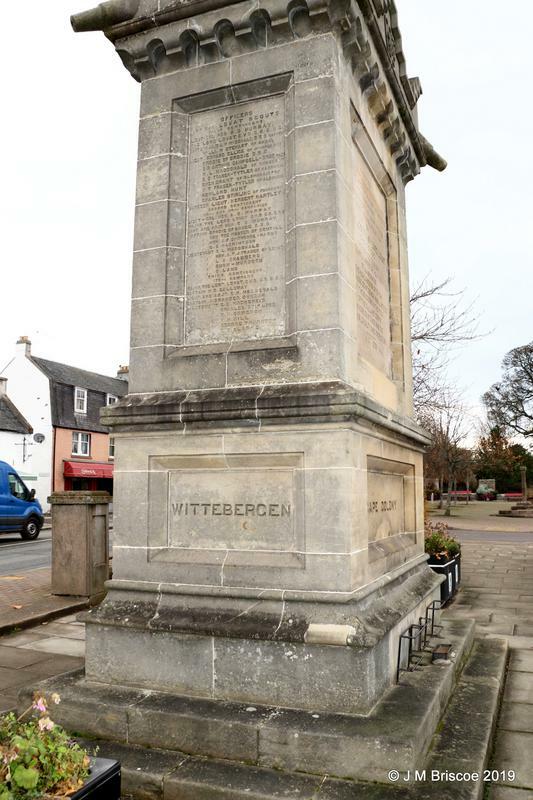 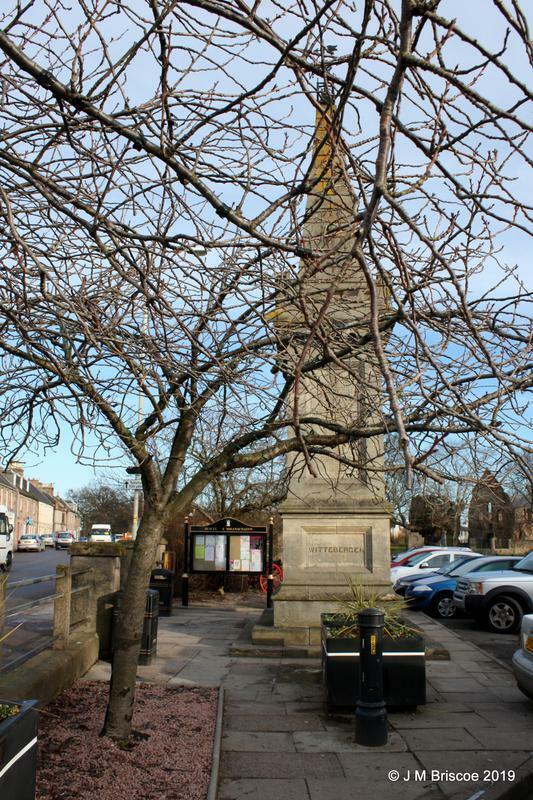 ; In 2014 War Memorials Trust offered a grant of £15,480 for repair and conservation work. 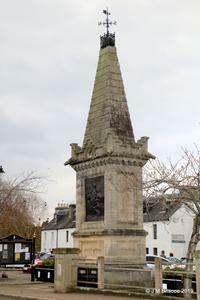 Exposure to weather and pollution had resulted in a build-up of dirt and biological growth on the stone as well as corrosion of the bronze elements. 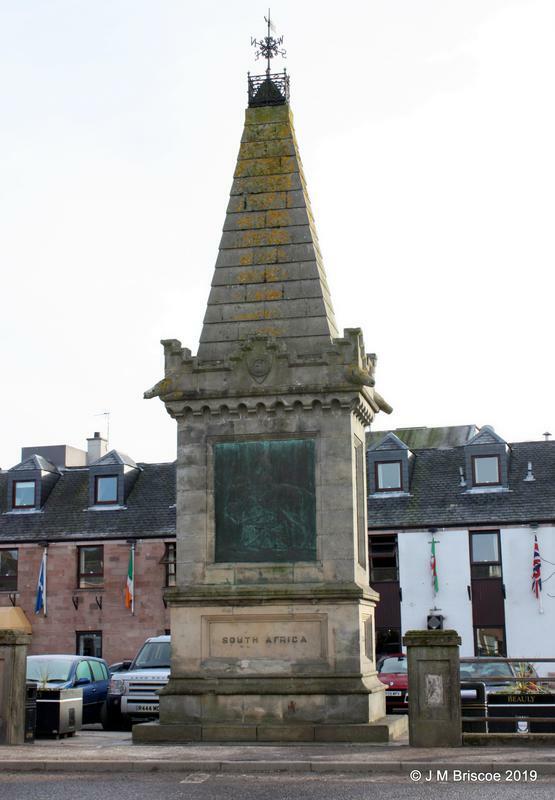 Defective pointing and blocked rain water cannels at the top of the plinth meant that water is getting into the memorial. In addition areas of the stonework had also been damaged or were subject to deterioration. To address these issues work defective cement pointing was removed and re-point with a lime mortar. Stone repairs and replacement, on a like for like basis, were undertaken to where damaged or eroded stones had been identified. 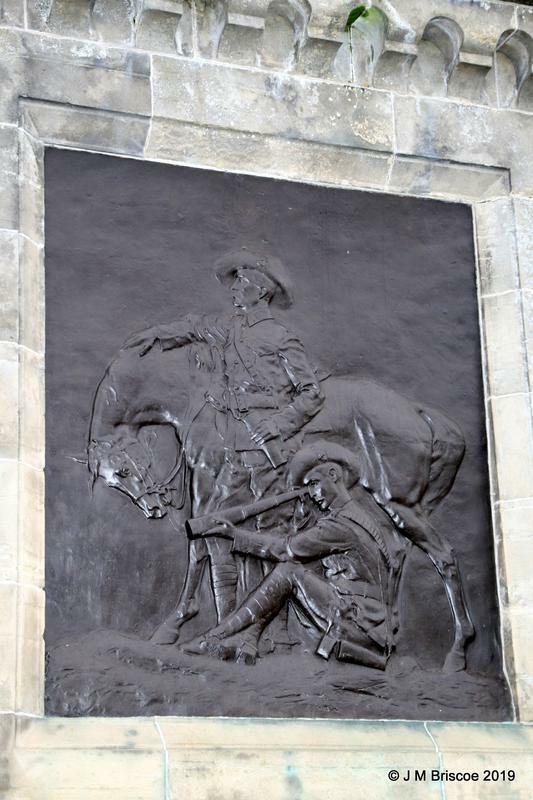 -The bronze plaque was carefully cleaned and then protected with an application of wax. 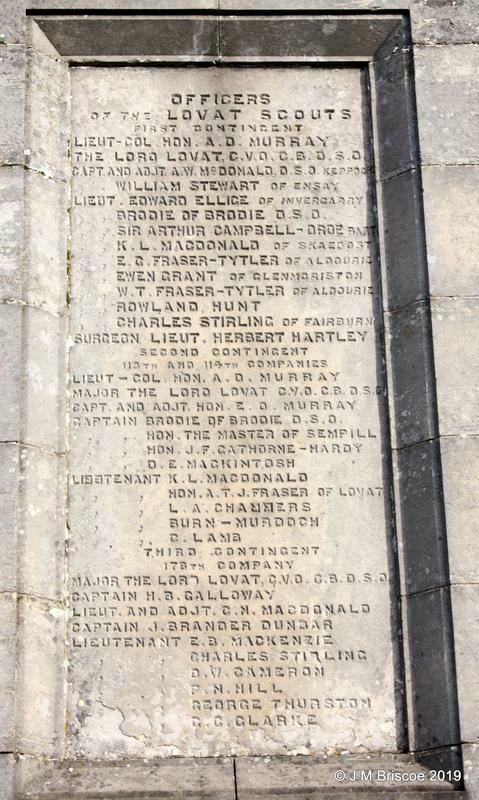 Comments: Sponsorship by tenants of the Frazer family. "The Scouts memorial, erected in the Square of Beauly by the tenants and feuars on the Aird and Fort Augustus portions of Lord Lovat's estates cost exceeding £400"
Edinburgh Evening News - Thursday 21 December 1905 www.britishnewspaperarchive.co.uk/viewer/bl/0000452/19051221/019/0002 LOVAT SCOUTS' WAR MEMORIAL. Dundee Courier - Thursday 21 December 1905 www.britishnewspaperarchive.co.uk/viewer/bl/0000164/19051221/035/0003 LOVAT SCOUTS' MEMORIAL. 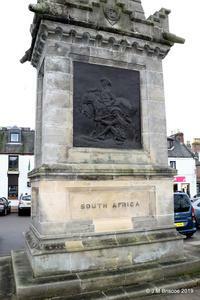 INTERESTING CEREMONY AT BEAULY. 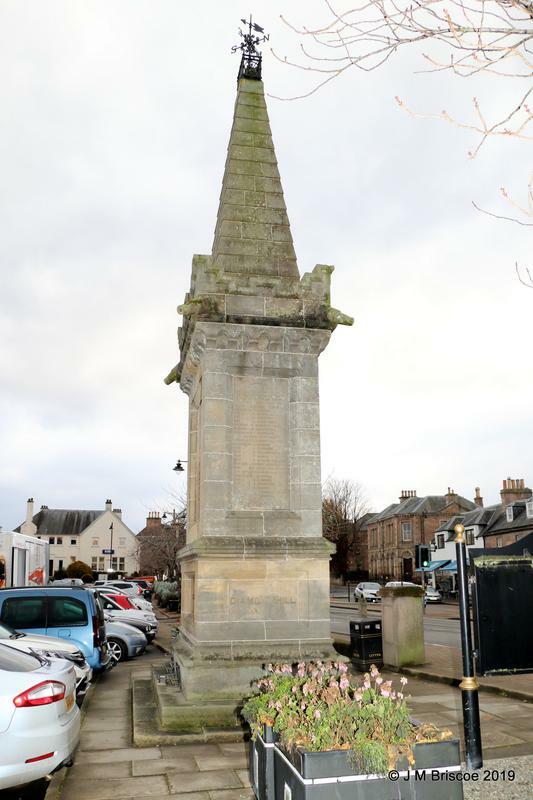 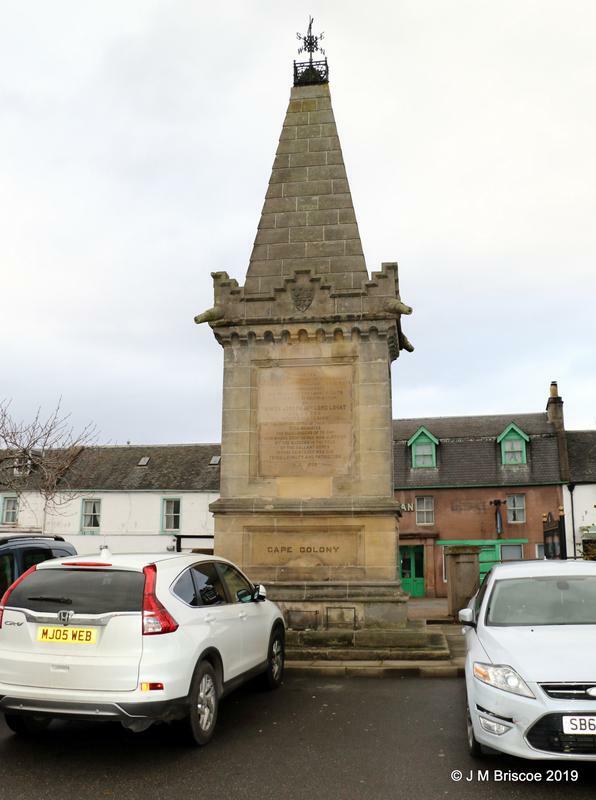 The Scouts memorial, erected in the Square of Beauly by the tenants and feuars on the Aird and Fort Augustus portions of Lord Lovat's estates cost exceeding £400, was unveiled yesterday by The Mackintosh of Mackintosh, Lord-Lieutenant of Inverness-shire, Two thousand people witnessed the proceedings, while one hundred uniformed Lovat Scouts formed a guard of honour. 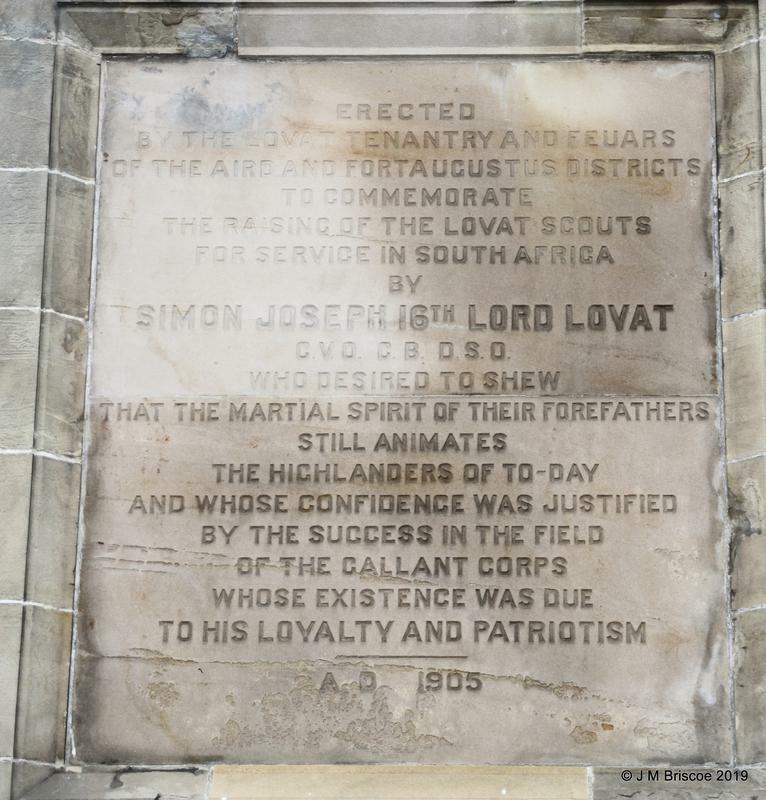 The Mackintosh paid a high tribute to the patriotism of Lord Lovat and his scouts after the dark days following Magersfontein in going out to South Africa and fighting their country's battles. 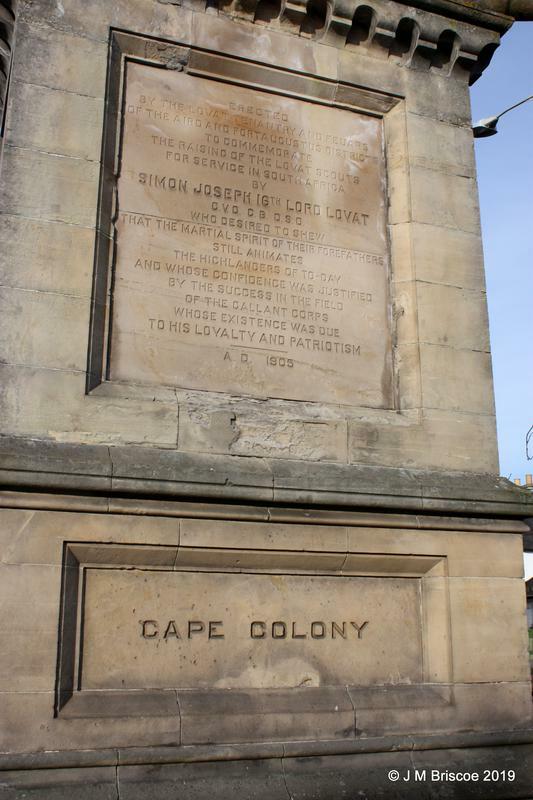 Erected on the North Road, artery between North and South, it would remind people yet unborn their duty to King and country. 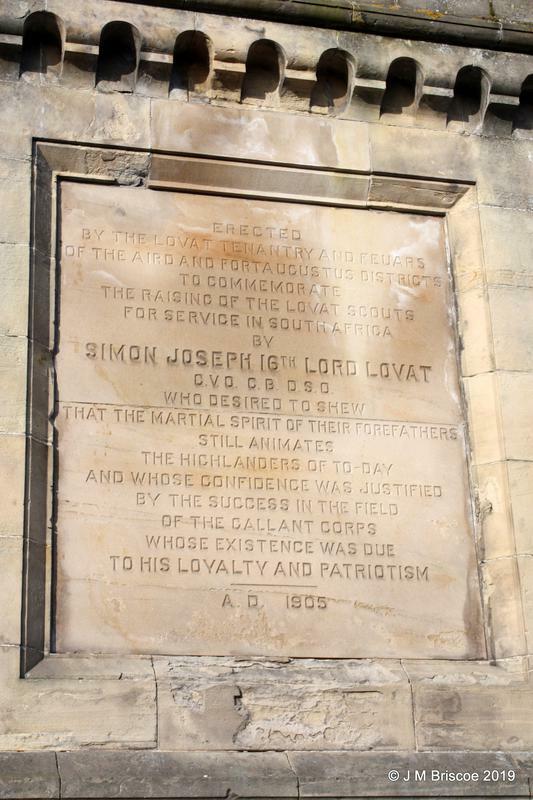 Lord Lovat suitably replied, saying the raising of the Scouts was proof that in the time of their country's need the Highlands could still produce men in numbers. 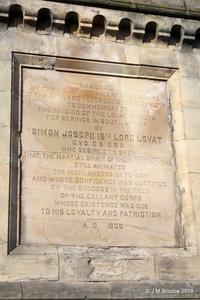 A cake and wine banquet followed in Phipps' Hall — Lord Lovat presiding. In proposing the King, Lord Lovat said that His Majesty was soon to inspect the Lovat Scouts.